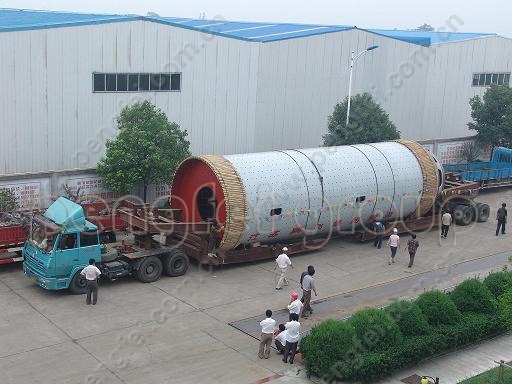 Ball mill|PMG series high efficient ball mill --China Pengfei Group Co.,Ltd. Model PMG series high efficient ball mill have been designed with the merits of open circuit grinding system and important renovations on traditional ball mills. Besides they have all the good advantages of open circult mills,production capacity has been raised substantially, product becomes super fine and blains have been increased.It has provided a new type of grinding equipment for producing high strength grade cement with high output and super finess. Model PMG ball mill has adopted special intergrate diaphragm and discharge grate to adjust material levels of every chamber so as to increase air ventilation and improve conditions inside mill; meanwhite it has also used new type of lining plate ,regulated mill rotation speed, optimized design of bearings so as to increase its operational stability,use life and grinding efficiency. After being put into practice, it is proved that its output has been increased about 20% and unit product power consumption has been reduced 10%-12% down under the conditions that other parameters have not been changed by comparison to other same sized ball mill. White being operated in open circuit, specific surface of cement could be reached up to 320cm2/kg Performance of it is up to national advanced standard .It has been awarded as well-known Brand Product of China Buliding Material Machinery Industry, "Well know Brand Products"," Appointed Manufacture of National Building Material Machinery Industry" and etc.